very nice host, awesome beach, LIDL supermarket just 5 min driving, cleaning ! Specially owner’s response and view from the balcony. Kostas is a very friendly host who speaks English. The linen and towels were changed every 2-3 days. 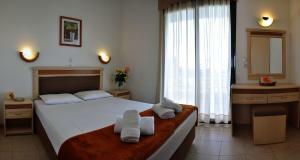 Nice and comfortable with everything you need to stay with our family. It seems to be renovated recently. The view from the terrace on the last floors is to the sea and to a nice olive garden. Definitely we shall come back next year. Very friendly host. 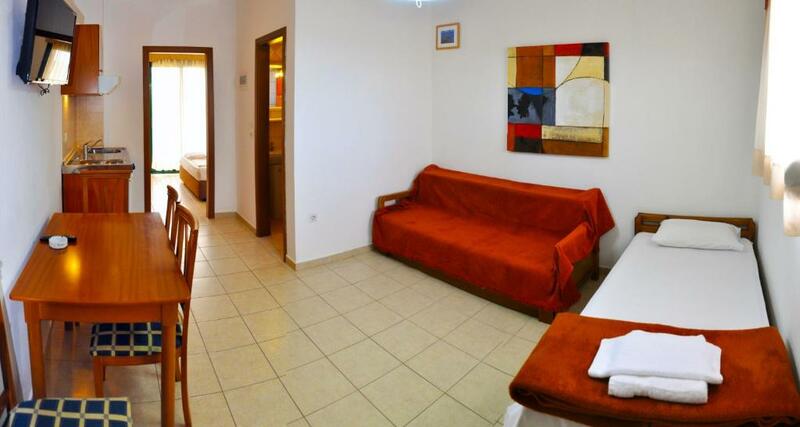 Nice rooms with everything we needed, AC, wi-fi, two blocks from a big supermarket, restaurants, coffee-shop. 10 minutes walk to a nice sandy beach. Понравилось абсолютно все, начиная с хозяина и заканчивая расположением относительно моря , магазином продуктов и рыбы, видом из окна, комплектацией апартаментов.... буду рекомендовать это место. Ho scelto questo alloggio perché è sufficientemente lontano dalla confusione serale e in posizione strategica per raggiungere le spiagge della penisola. Добро местоположение на хотела, чисти и комфортни стаи. Приятна тераса, за почивка и отдих. Центъра е близо, както и плажовете. Gazda ne-a intampinat, foarte amabil, chiar inainte de ora de check-in.Curat, frumos, confortabil, aproape de plaja si magazine/restaurante. Parcare sigura , kiosk, barbque, totul potrivit. Очень хороший хозяин, который решал все вопросы. Очень дружелюбный и приятный. Прекрасное местоположение, вид красивый, весёлые кошки, которые не давали скучать днем и ночью)) Номер очень большой, втроём было вообще отлично. 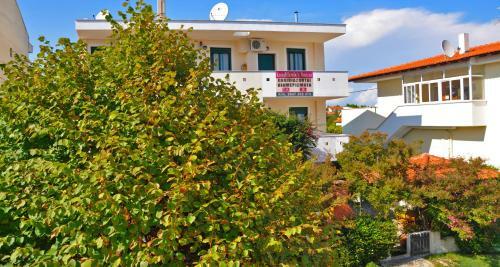 Lock in a great price for Kondilenias House – rated 9.2 by recent guests! Surrounded by a well-tended garden, Kondilenias House is within a short walking distance from the beach, shops and taverns in Kallithea Village. 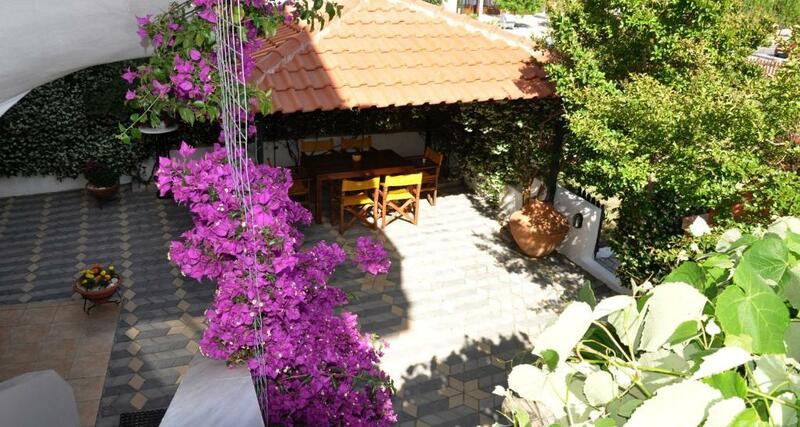 It features free Wi-Fi, communal BBQ facilities and apartments with a balcony. 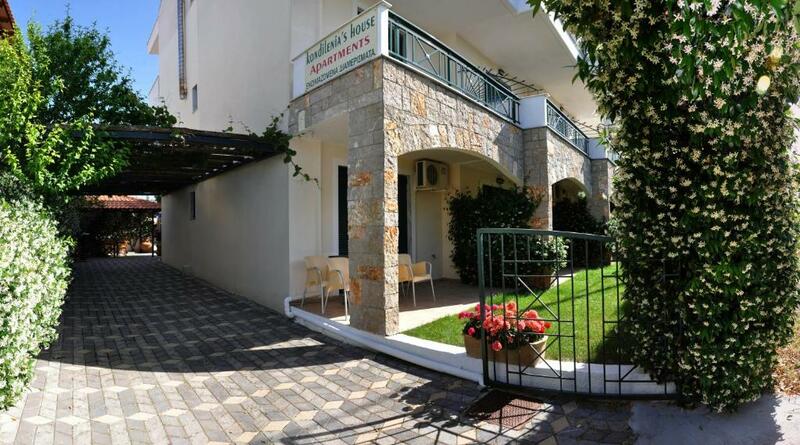 Offering views of the garden or sea, the accommodations at Kondilenias offers a small dining table and a kitchenette with cooking hobs and a fridge. Simply furnished, they enjoy air conditioning, a cable TV and private bathroom. 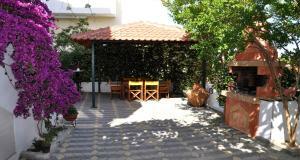 Kondilenias House provides free private parking on site. 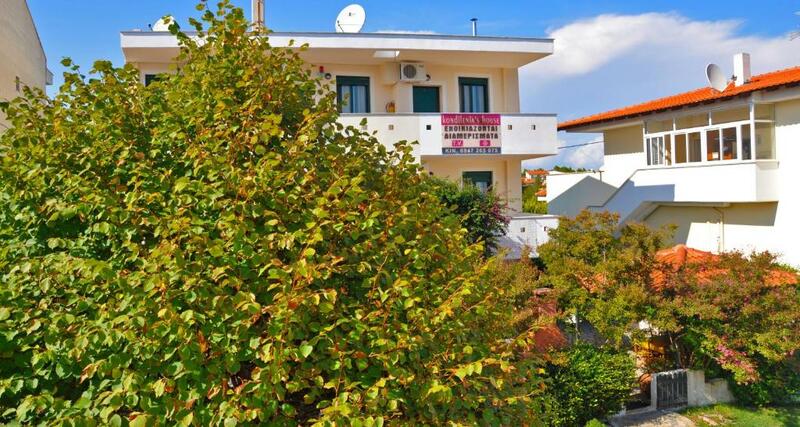 It is 9.9 mi from the lively village of Chaniotis. Thessaloniki International Airport is at a distance of 53 mi. When would you like to stay at Kondilenias House? 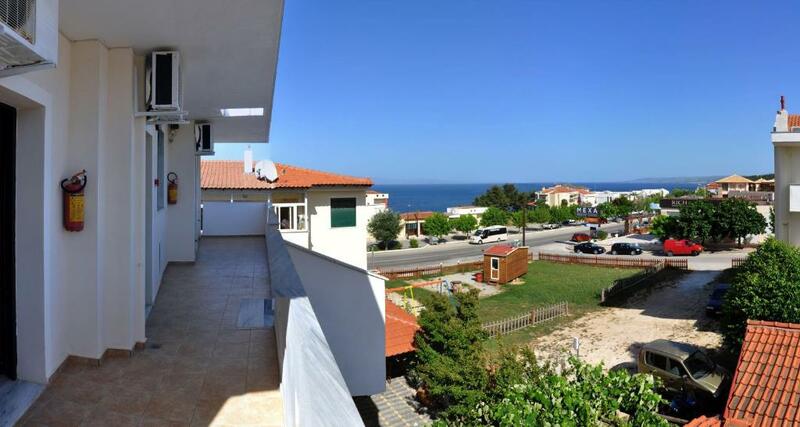 Overlooking the garden or sea from its balcony, this air-conditioned apartment offers a kitchenette with fridge and cooking hobs for the preparation of light meals. It includes a small dining table and cable TV. Overlooking the garden and the courtyard, this air-conditioned apartment offers a kitchenette with fridge and cooking hobs for the preparation of light meals. It includes a small dining table and cable TV. House Rules Kondilenias House takes special requests – add in the next step! Kondilenias House accepts these cards and reserves the right to temporarily hold an amount prior to arrival. Please inform Kondilenias House of your expected arrival time in advance. You can use the Special Requests box when booking, or contact the property directly using the contact details in your confirmation. WiFi a bit better, please! Third bed could be better. Wi-fi a bit slow in evenings. Very steep from the beach.